The Load Lockers straps supply consistent downward pressure through a cam style buckle. Made from premium materials this strap has massive amounts of shear strength. 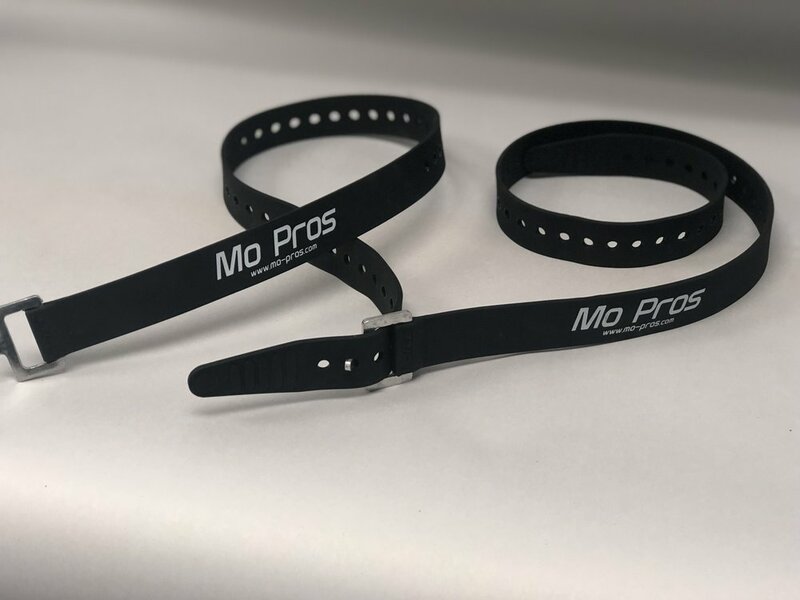 The premium quality also guarantees the straps won't be effected by UV exposure or freeze when left outside. Best of all your can join them to make longer straps and roll them up with ease. Minimal profile enures easy storage in backpacks or any Mo Pros storage bags.